A recent report found that customers are very satisfied overall with pharmacy benefit managers and their services. The report also indicated a slight increase in satisfaction from the previous year. Pharmacy benefit managers (PBMs) have come under fire recently due to outrage over high drug prices, with some critics blaming PBMs for the cost growth. 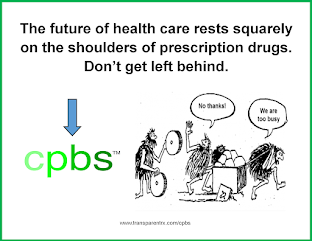 However, many PBMs attest that they have been saving patients and the healthcare industry money through their negotiated drug costs and formulary exclusion lists. PBMs are also faced with rising drug costs, and they respond by removing drugs from their formulary lists when a less costly alternative is available. Since they can use these lists to negotiate prices, these policies have largely had a positive impact on costs, and have not been seen to affect patient access to medications, according to the Pharmacy Benefit Management Institute’s 2016 PBM Customer Satisfaction Report. Despite criticism, overall satisfaction with PBMs continues to increase, according to the report, which found that customer satisfaction increased from 7.7 in 2015 to 7.8 in 2016. Included in the report are responses from 507 plan sponsors representing employers providing drug coverage for more than 54.7 million individuals. Approximately 83% of plan sponsors indicated that their PBM is also aligned with their goals, which is important so employees can receive the services and care that is needed. Transparency has become increasingly important for Americans facing high healthcare costs, including drug costs. 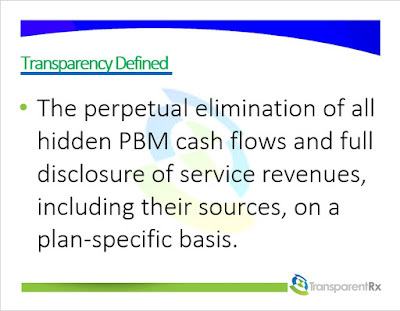 Of the plan sponsors that responded, 91% felt that their PBM’s pricing was somewhat or completely transparent. Tyrone's comment: There is no standard industry definition for transparency so how is it defined and, more importantantly, measured here? I offer up a definition above (figure 1). Finally, I don't for a second think plan sponsors would believe their PBM to be completely transparent if they knew the truth behind the numbers. I speak with dozens of Benefits Directors, Benefits Consultants and CFOs weekly only to discover how little they know about PBM fundamentals such as plan design and cost-containment. So its not surprising to see such positive survey results when the respondents' heads are in the sand. Plan sponsors also rated 5 of 9 PBM functions an 8 or higher on the satisfaction scale. Retail network options received the highest rating of 8.5 in the survey. The respondents rated formulary management the highest rated noncore service, and consumer education tools as the lowest. 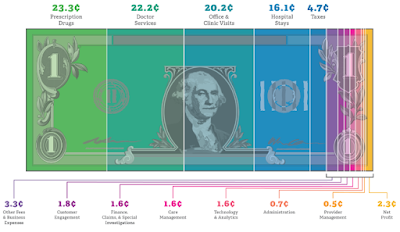 Interestingly, the highest- and lowest-rated services were only separated by 0.5 points. Delivery of services and utilization management scored a 7.9 for the specialty aspects of the PBM, the researchers said. Satisfaction across all service dimensions did not significantly change from 2015. Overall, plan sponsors were likely to renew their contracts with their PBM, and ranked that likelihood an 8.1. These findings suggest that PBMs are achieving their goals of providing beneficial services, driving positive patient outcomes, and reducing drug costs, according to the report. "Our research shows that PBMs who can deliver high quality services, have aligned goals with clients, and help maintain employee and member satisfaction in turn have highly satisfied customers," Jane Lutz, executive director of Pharmacy Benefit Manager Institute, said in a press release. "In the competitive PBM marketplace, customer satisfaction is a key differentiator. Highly satisfied customers are more likely to renew services with their current PBM and even refer potential customers to their existing PBM."